After seeing Titian’s Annunciation (circa 1559-64) in Venice, Gerhardt Richter painted a copy, working from a postcard. 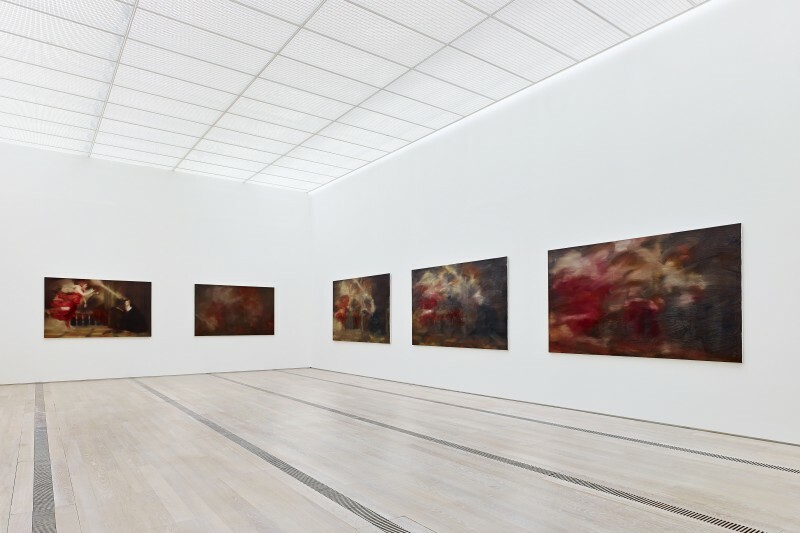 He made the copy “so that I could have a beautiful painting at home and with it a piece of that period, all that potential beauty and sublimity.” However after finishing one copy, Richter made four additional copies. In the later copies, Richter transforms Titian’s Annunciation to the point that we might not immediately recognize it. Departing from the formal realism of Titian’s Annunciation, Richter’s subsequent treatment of the image reveals a multifaceted strategy which distills Titian’s work into an abstract encounter of light, form, color, and substance, vividly capturing the supernatural moment of conception. Gerhard Richter: Annunciation after Titian, 1973, 125 cm x 200 cm, oil on canvas.